Time flies and it has been two years since we first reviewed Tree Bar at G Hotel Gurney al fresco. Recently, we re-visited it again for its new menu. 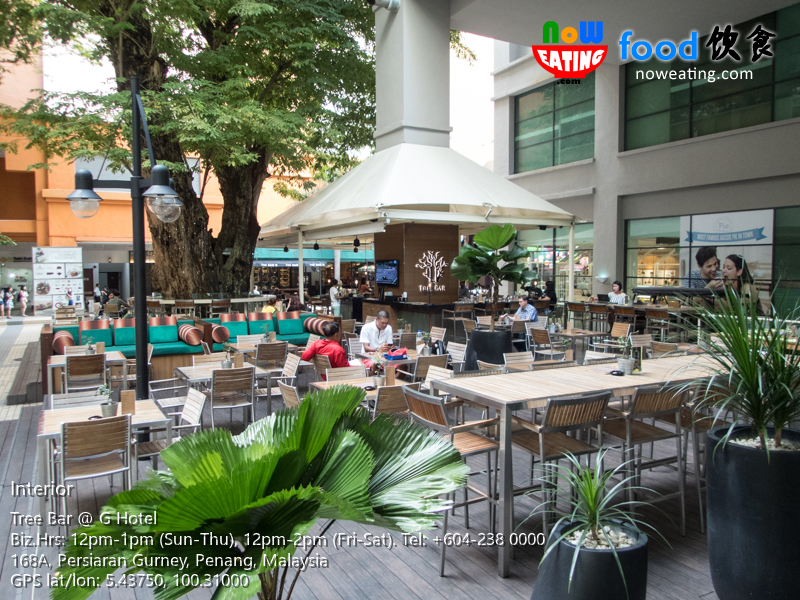 As the name applies, Tree Bar is nested under a raintree called “Albizia Saman”. For locals, it is better known as “five o’clock” (Pukul Lima in Malay language) as its leaves folds during the rainy weather and in the evening. Not wanting to ruin the atmosphere by cutting the 80 years old tree down, G Hotel decided to make good use of the space around. 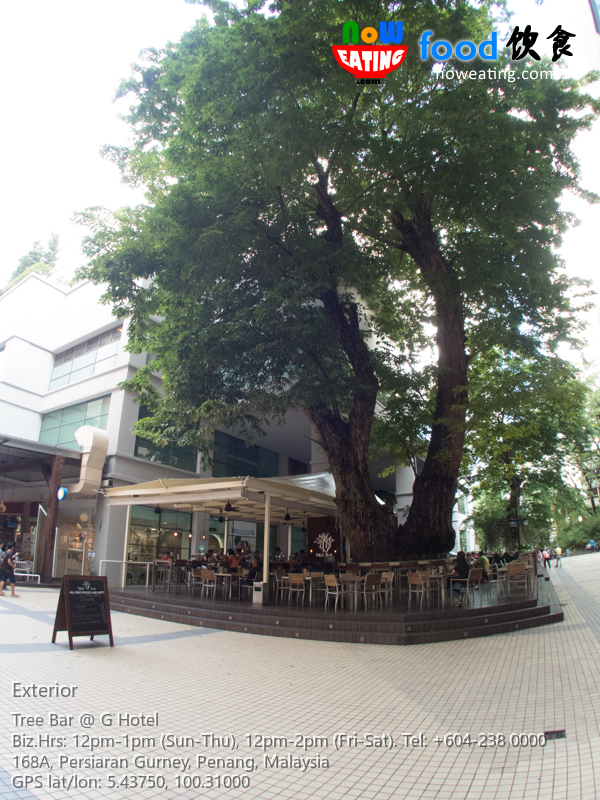 Tree Bar was opened on 19-Jun-2014. 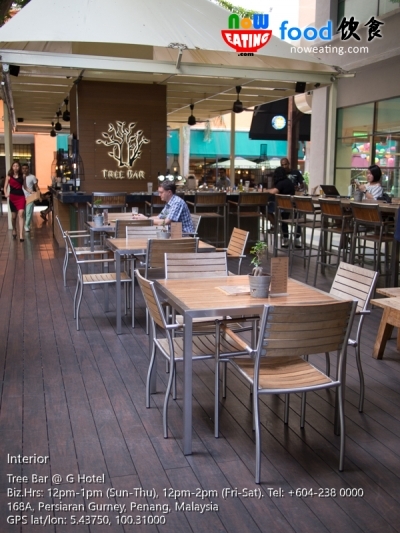 On 1-Sep-2015, Tree Bar was extended from 48 seating capacity to now 198 seating capacity. First of all, allow us to introduce Norman Arno Kiehl – an extraordinary and friendly Assistant Outlet Manager of Tree Bar. If you happened to bump into him during your visit, feel free to ask for recommendation on beers and bites. 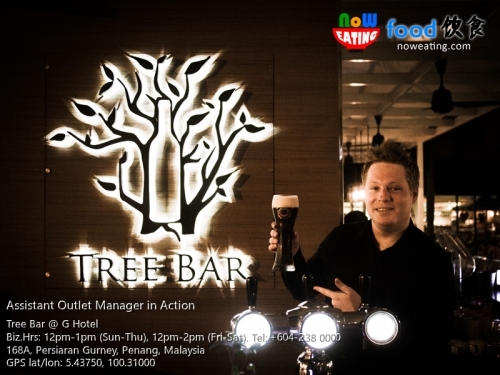 According to Norman, Tree Bar is still a popular place for beers, be it a drought beer or bottled beer. 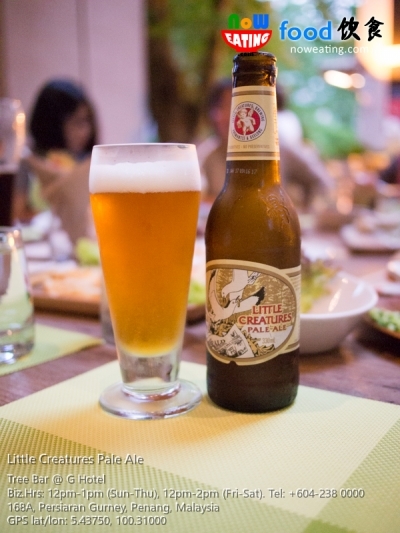 Our recommendation is: Go for beers hardly found in most restaurants, such as Erdinger Weissbeir or Erdinger Dunkel from Germany. 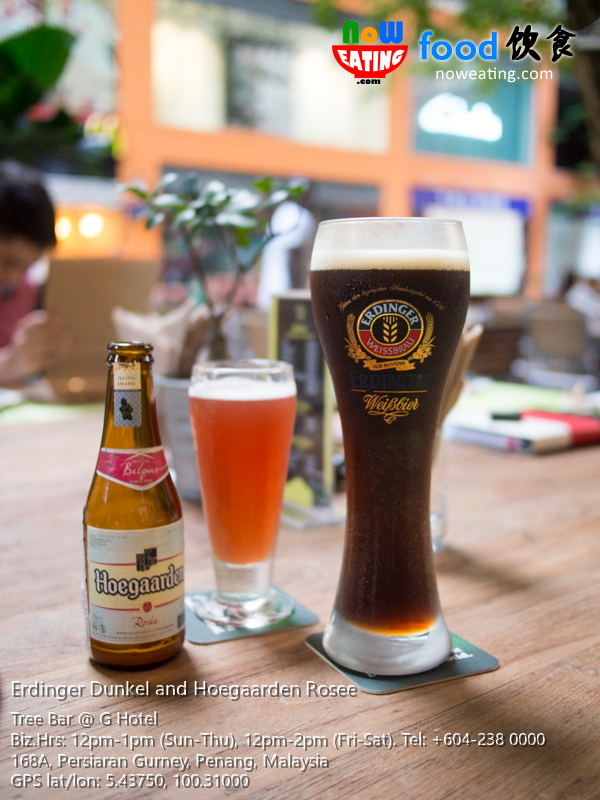 For beginner, we strongly recommend Hoegaarden series as it is fruity and less bitter to begin with. 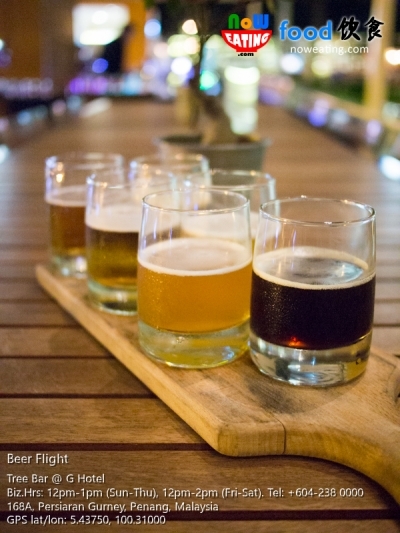 Beer Flight is not only fun to enjoy, it also allowing us to tell the differences among those beers. Beer Flight is priced at RM46 and is subjected to availability. Our top pick for the evening went to Little Creatures Pale Ale – an Australian beer with a hint of citrus and fruity flavors. 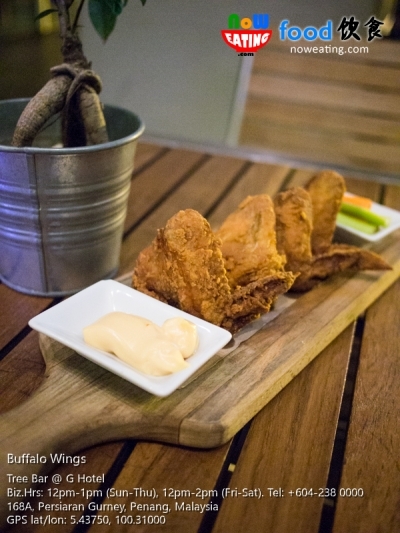 Beers are best pairs with buffalo wings which are also available in the premise. Served with fresh celery, carrots and cheese sauce. We will cover more bites later. Tree Bar also offers 15 types of cocktails, including Chocolada from the figure above. 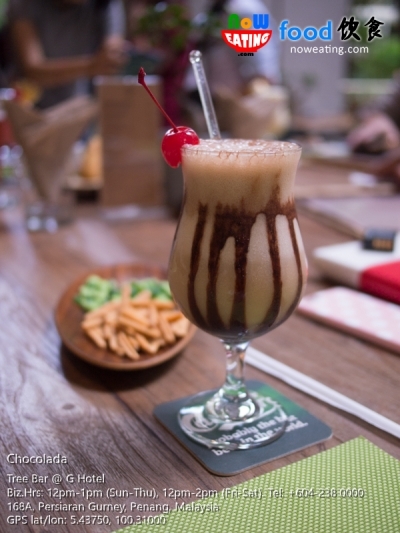 As stated in the menu: “It can’t get tastier & richer blend of crème de cacao, light rum, coconut cream, pineapple juice & chocolate”. Starting September 2016, Tree Bar is introducing a list of new items on the menu. 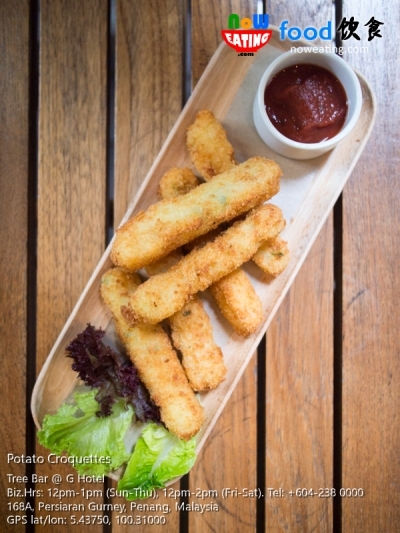 For those who love to munch while having a sip, Tree Bar recommends Potato Croquettes – an Italian cuisine of deep frying the breaded new potato seasoned with chopped onions, garlic and scallion and served with basil tomato sauce. On top of that, if you are longing for something cheesy, Mozzarella Cheese Sticks which are lightly breaded and fried to crispy perfection, is a great snack to go with Mexican garlic salsa and extra virgin olive oil. A point worth taking note is that instead of using commercial sauce, Tree Bar has their own in-house sauce and is distinguishable on each menu item. 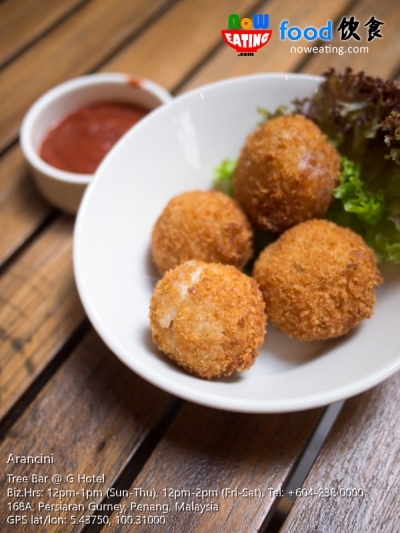 Another Italian snack is the newly featured Arancini – stuffed rice balls which are coated with bread crumbs and then deep fried to golden brown. Inside the rice balls are mouth-waterig cheese, mushroom, sauteed onion, garlic and thyme. 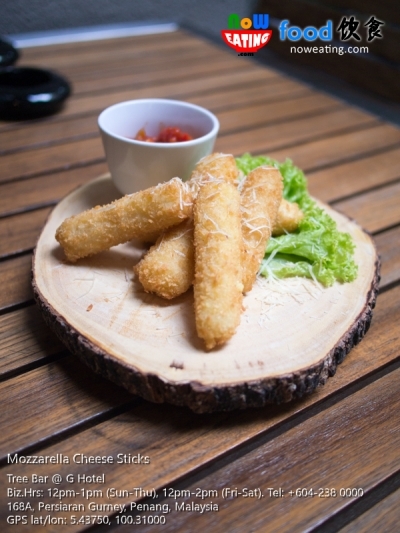 The flavorful bite turns into perfect combo when dipped with smoked tomato sauce and fresh basil. 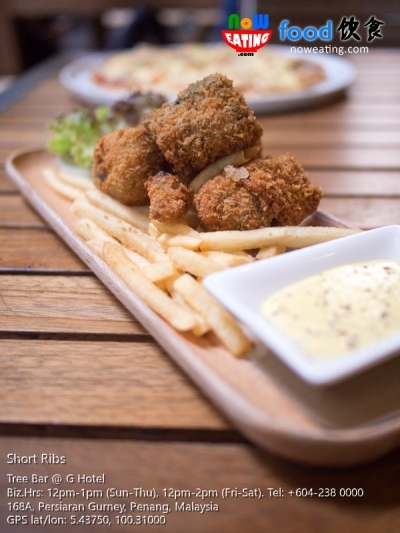 One of the star dishes recommended by Tree Bar’s chef is the breaded sous vide Short Ribs served with creamy mustard sauce and fries. Sous vide is a French cooking method. The raw short ribs are first deboned, marinated with salt and coarsely ground pepper and then sealed in a vacuum bag. It is then cooked in a water bath at 45°C for 8 hours until the meat is tender. Upon order, the chef will remove short ribs from the vacuum bag and deep fry with bread crumbs before serving. It is crunchy on the outside and juicy inside that makes you wanting to come back for more. The new menu consists of more than 20 bites. 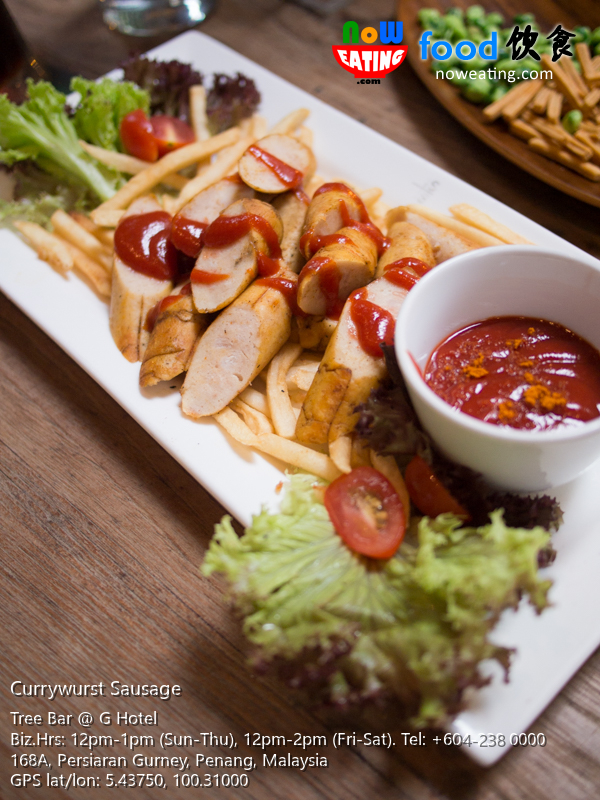 Among them, Currywurst Sausage is their all time favorite. The german chicken sausage is braised in curry leaf, ketchup and spices. Hungry? 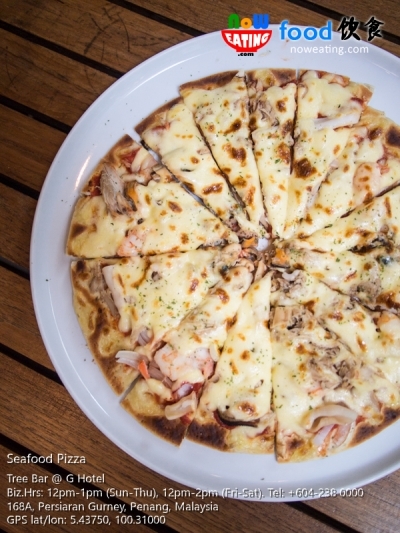 We strongly recommend hand-tossed Seafood Pizza made of calamari, prawns, mussels, tuna and homemade tomato sauce with cheese and basil leaf. 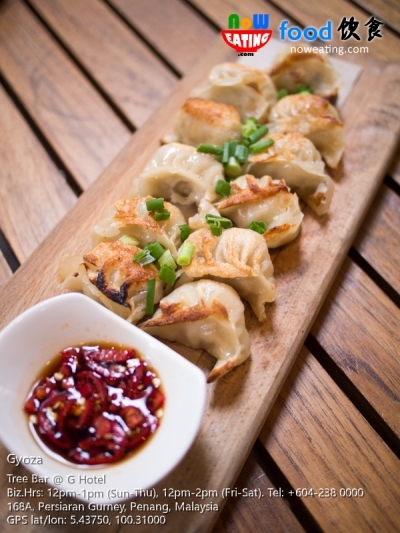 Our top pick on that evening was Gyoza – pan grilled japanese prawn dumplings with chili and premium soy sauce. Best consumed hot. 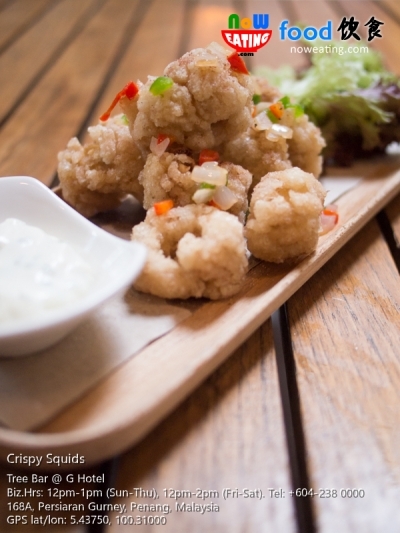 Figure: Crispy Squids – Chinese style deep fried salt and pepper squids with garlic chive mayonnaise. 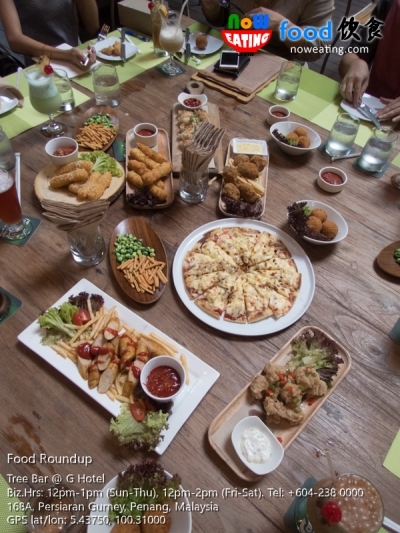 Despite majority of the new menu items are deep-fried food, they are still pleased to enjoy thanks to non-oily texture. After all, they are prepared from a hotel kitchen. Another point worth taking note is that if you are looking for proper meal, feel free to tell the crew members and they are more than happy to help you ordering from Taste Cafe in G Hotel Gurney.